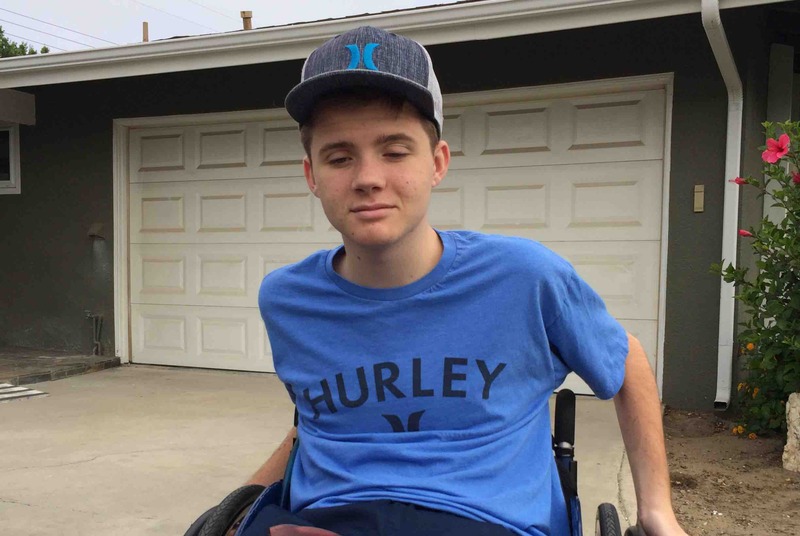 Jake Martin is a sweet 16-year-old Camarillo High School student. He is a vibrant, loving, caring child. 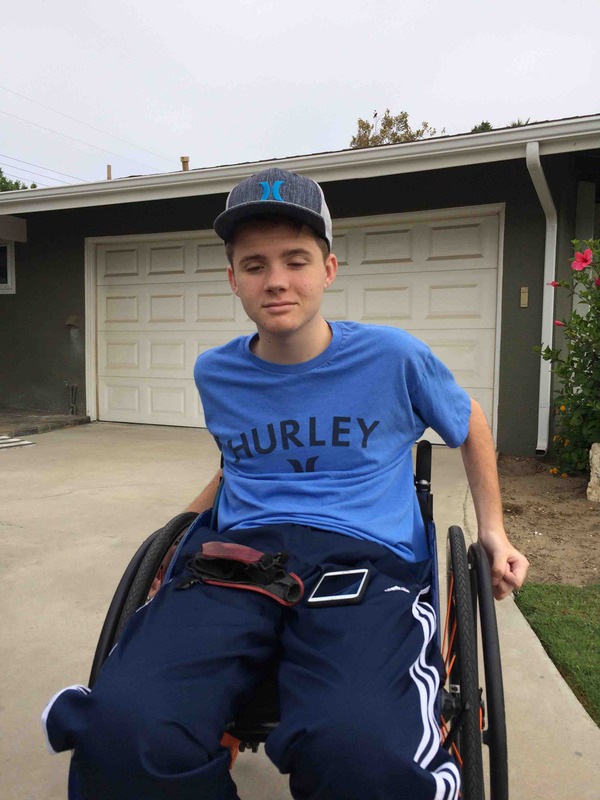 Jake had a serious accident and is paralyzed from the waist down. He has limited use of his arms, but with hope, prayers and hard work, we hope he will eventually regain use of his upper extremities. 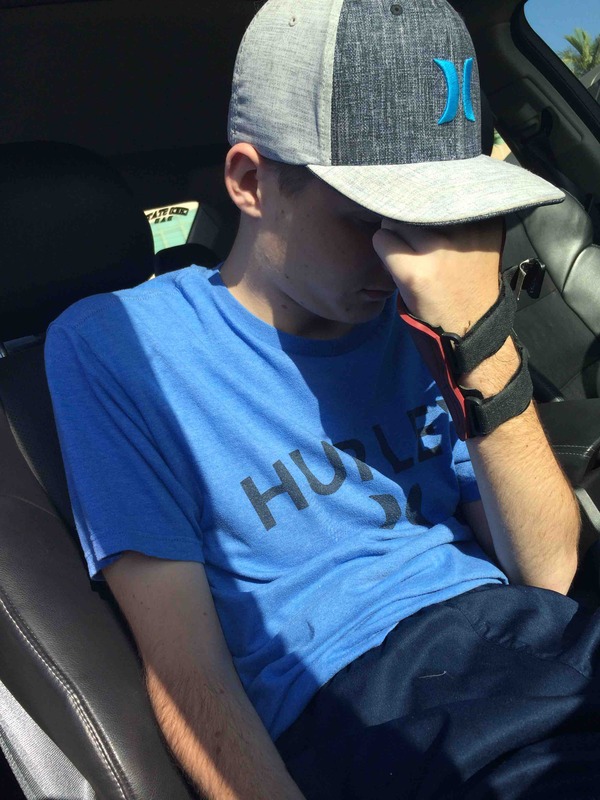 Jake will be at Children's Hospital for months rehabbing. When he comes home he will need 24-hour care. The Martin family have been hit with tragedy before. Sharon, Jake's mom, is wheelchair bound due to Multiple Sclerosis and has battled breast cancer. Imagine being Mom and not being able to physically help your son? If ANY family deserves help, this is the family. So now you ask yourself, "What can I do?" What we need is to help them financially. Their bills are already stacking up and will continue. The house needs to be retrofitted to be handicapped-accessible, they need a retrofitted van and an electric wheelchair, among many other things. Please, even if it's only $5, it will add up. You can also go to any Chase Bank and donate directly by Check to Jake Martin. or click on the link to make a donation directly. Hello All, just a quick update on Jake: he started Ventura College a few weeks back and all is well. He's taking 3 classes and goes to school twice a week. Attached are some pictures and a video of his first day. Jake wasn't happy getting his picture taken. Jake is getting it done and we couldn't be prouder of him. It's hard to believe, but Jake graduated yesterday! 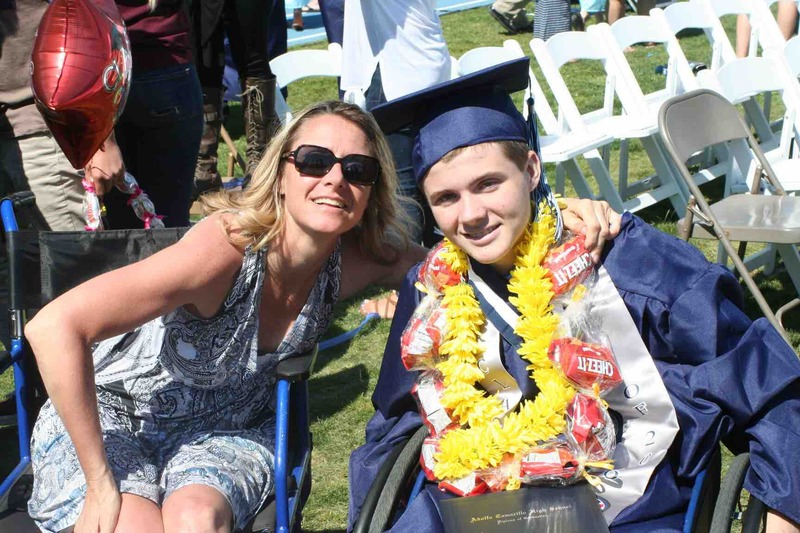 Although he's had a very trying almost 2 years, he managed to keep up with his schoolwork, stay positive and work hard and he is now a high school graduate! We could not be more proud of Jake's strength, fortitude and hard work. I wanted to add that THANKS to everyone's generous donations, Jake is able to receive some of the best therapy, NOT covered by insurance!!! Your donations are paying off ten-fold!!! Jake, it was good that your Mom took your photo (even though you were bummed), because we are all cheering for you. You have tons of courage to get going and to take college courses. We all look forward to hearing about your achievements as you make an imprint on the world!!! Go, JAKE!!!!!!!! Congratulations, Jake, on your graduation! You have such courage, strength and determination to keep moving forward, despite any obstacles in your way! So proud of you and your family. None of us can control what happens to us, but we can all decide to EMERGE from it. You are such an inspiration. Hugs and love. Congrats Jake, and good job! Jake, I keep praying for you. Don't lose your faith and keep up your hard work for your full recovery. Honestly, I just saw your updated picture which I guess that was a halloween picture. I don't like it at all, I don't want any evil figure holding your throat. I pray for your freedom. If possible, please take this picture off and pray for the cleansing blessing from God. With all my best wishes! God bless you! Hi Jake, I admire your courage. All you need to do is to concentrate on your Physical Therapy and put your mind to it. Also do not forget there is the Higher Power, do not forget to call on Him for your Healing too. Get well soon and take care. Jake, so many are praying for you and your family. I pray that God provides you with what you need and believe me he already knows what you need. Believe in Him and don't give up hope. Tina I have a chronic illness too so I know despite your illness, you are already a strong and resourceful woman. God will give you more strength and open doors to help you in ways like the van. Bless the lady willing to donate one to you! I will continue to donate more as I can. God Bless you both! Hello Jake, never give up with your rehabilitation stay positive every spinal cord injury is different. I was injured about 15 years ago from a 30 foot fall onto concrete. I fractured c-4, dislocated c-5, and c-6. When I left the hospital after 3 months I couldn't move anything except my jaw. After 2 years of rehabilitation I could shadow box while sitting on a 3 foot rubber ball! If your parents or yourself would like to contact me for any questions about home modifications to your home I was in home building and had actually modified a bathroom for a lady that had a stroke. So I knew what I needed to do to my home with a wheelchair accessible shower, no more bed baths! I noticed you didn't have a halo on which is very positive for recovery from your injury! NEVER QUIT ! Yes I'm actually typing this without any assistance. I looked for a FB page to receive updates as I pray for your son. I saw this on Yahoo! News. I got trampled by a horse (not the one pictured) in 2012. I was badly injured. However, I was not paralyzed, though, I nearly died. Get a 1000 pound animal to tromp on the middle of your back... you'll see what I mean. Death would have been welcome at more than one point in this long road; yet, I push on. Jake can, too. Through this, I reach out to many others suffering severe injuries and chronic pain, facing despair. There IS hope. There IS a light at the end of the tunnel. Hang on!!! My 20 yrs old son was almost killed in an auto accident last year. He almost lost his leg and crushed his heel in 15 places and 5 on top. Many other injuries and thanks to life flight and the wonderful doctors at Hermann Memorial in downtown Houston is survived. He can walk too!!!! Many emotional months, getting closer to God and never giving up was what made him able to walk again. Bless Jake and his entire family as this WILL get better. God has a plan and his plan is Great! I heard this and could relate. At age 40 I was in a car accident and was told I would never walk again. I spent almost 6 months at Sheppards Spinal Clinic in Atlanta Ga and came home to Charleston, SC and I now walk. drive and live a normal live. I know every injury is different but don't loose hope. God is in control and prayers is what got me through. I will keep ya'll in my thoughts and prayers. I hope only time will tell. tks. a media access award Oct. 16th. My sister will be in LA to accept for him. Would love to figure out how to contact family. Your story has saddened me so. Your family will be in my prayers and I pray that your son, and his mother as well, make complete recoveries. I agree families should not go their separate ways for the day without a hug and "I love you" because our lives are so unfortunately unpredictable. My son had a spinal cord injury when he was six years old. KEEP IN MIND , doctors give you the worst possible scenario news. We were told our son would never walk again. Only God knows what your sons final outcome will be, and we have seen amazing things accomplished. My son is 35. He spent four years in physical therapy. He walks, plays drums in a band professionally (this uses mostly the feet and legs), owns a moped shop in Denver, and just married a beautiful girl. It sounds like your son has an incomplete injury. He can have recovery for up to two years. Encourage him, pray for him and know that we are praying for you. Likewise, I would be glad to talk to you any day or night. I've felt your pain and have some amazing things to tell you about our journey. My brother also broke his neck when he was 15...in a diving accident...he is in his 50s....independent...finished college...a social worker....don't have give up hope...your son will find that each obstacle he faces will have amazing results. If you ever need to talk, please don't hesitate to message me. Sharon and Brandon, I am so sorry to hear the upsetting news about Jake. I'm devastated. My thought and prayers are with your family and please reach out if I can help with anything, I'm only minutes away. So encouraging to see the love and generosity extended by everyone to my nephew. Blessings to all of you! Glad to hear your amazing progress. So inspirational! I'm sure your college career will be a success as well. Hi Jake, you won't recognize me by my photo, but I was your second-grade teacher--Mrs. Norris--at Cam Heights. You have had so much to have to deal with at your age. I'm sorry all this happened to you, but we don't choose these things in life. They just ARE. You're doing a good job of coping and making the most of your life. Good luck in college, and I know you are capable and up for the challenge it brings! Congratulations to Jake on successfully graduating!